People may have to work for much longer to qualify for the full State pension in the coming years, while others could see the tax relief on their pension savings chopped. This is due to some of the major changes on the cards for pensions in the future. While many people will be better off as a result, there will also be many others who will be worse off. Here are some of the main changes likely to be in store for pensioners, and those saving up for their pension, in the coming years. The Government plans to bring in an auto-enrolment pension system in 2022 where workers without a private pension would be automatically enrolled into a State-sponsored pension scheme. The Government hasn’t yet published the full details of how the scheme will work. It has, however, indicated that it will cover employees over the age of 23 who earn more than €20,000 per year – and who don’t yet have a private pension. In addition, it looks like any employees earning less than €20,000 a year may opt to join – as may the self-employed and workers who already have a private pension. Under auto-enrolment, it’s expected that workers, employers and the State would contribute a certain amount into the pension scheme. The exact amount to be contributed by each has yet to be revealed. However, the Government has indicated that employees could eventually pay 6pc of their salary, employers could also pay a 6pc contribution, and the Government could pay 2pc. Higher-rate taxpayers could lose out on tax relief once auto-enrolment kicks in. The Government has indicated that with auto-enrolment, instead of paying pensions tax relief, the State might contribute €1 for every €3 paid into the pension scheme by a worker. This would put the value of the State’s contribution to a worker’s pension savings at around 33pc. Currently, it is possible to get up to 40pc tax relief on pension contributions – depending on the amount of money being earned by the individual. In the State’s ‘Roadmap on Pension Reform’, which summarises the Government’s latest thinking on pensions, it states that “any contributions made by the State [to the auto-enrolment pension scheme] will replace, rather than augment existing tax reliefs”. So should the Government proceed with auto-enrolment on the basis of a €1 State contribution for every €3 paid by a worker, it appears that higher rate taxpayers would no longer be able to get 40pc tax relief on their pension contributions – instead, they would be getting the equivalent of 33pc tax relief. Many workers would find themselves losing out on pensions tax relief as a result. At €34,550, the amount of money that a single person can earn before becoming a higher-rate taxpayer (and therefore qualifying for the higher 40pc rate of pension tax relief) is low – and is below the average wage. “The majority of workers making pension contributions enjoy tax relief at the higher rate,” said Peter Griffin, director of Allied Pension Trustees. Those paying the lower 20pc rate of tax could, however, end up better off under auto-enrolment because the State contribution could be worth more to them than their current rate of pension tax relief. Those paying 20pc tax can currently only get 20pc tax relief on pension contributions. Higher-rate taxpayers could also be at a disadvantage when they come to draw down their pensions. While you get tax relief on pensions contributions, you are taxed on your retirement income when you start to draw down your pension – and depending on how high your retirement income is, you could be taxed at a rate of 40pc. “It would seem very unfair to be subject to tax at the 40pc rate of tax if relief on pensions contributions was only given at 20pc or some other universal rate [such as 33pc],” said Griffin. Bear in mind that you may not earn enough in retirement to be taxed at the higher rate. So if your pension income is taxed at the 20pc rate in retirement, and you get 33pc tax relief on the pension contributions paid while working, your pension savings would still be tax effective. Still, with auto-enrolment set to be introduced in another four years’ time, it might be worth making the most of the current tax relief before then. “Higher-rate taxpayers may need to think about maximising their pension contributions between now and then,” said Moriarty. From 2020 onwards, Irish people could need to work for much longer than they currently do to qualify for the full State pension. This is because of changes expected to be brought in under a new system for the State pension, which is known as the Total Contribution Approach (TCA). Under the TCA, the total amount of social insurance contributions paid by, or credited to, you – rather than the timing of them – will determine the rate of State pension you’re entitled to. Under the current State pension system, known as the ‘averaging’ system, you can qualify for the full State pension if you have 10 years of social insurance contributions. The new TCA system is expected to be fully rolled out in around 2020 – for those applying for the State pension for the first time. Under this new system, it is likely that you will need much more than 10 years’ social insurance contributions to qualify for the full State pension. Indeed, there are concerns that people will need to have 40 years’ social insurance contributions. An interim TCA system kicked in earlier this year and will apply until the TCA system is implemented in full from 2020. Under that interim system, 40 years of social insurance contributions are required to qualify for the full State pension. For the moment, people can choose between getting a contributory State pension under the old averaging system or the interim TCA – and opt for the one which gives them the better pension. 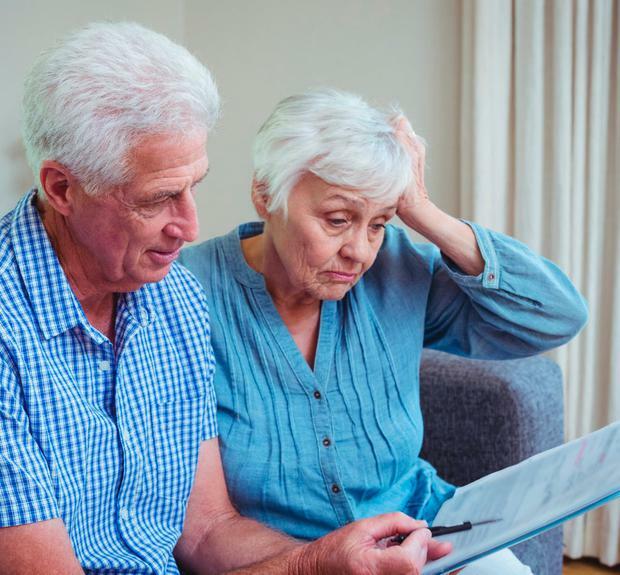 However, from around 2020 – when the TCA system is implemented in full for those applying for the State pension for the first time – it will no longer be possible for people to choose between the two. “Most people are assuming that because 40 years’ social insurance contributions are required under the interim TCA, that the same will apply for the TCA system introduced from 2020,” said Tim Duggan, who is the assistant secretary with responsibility for pensions at the Department of Employment Affairs and Social Protection. Duggan confirmed that the Government is also examining whether or not 40 years’ social insurance contributions should be required. However, he stressed that the Government has not decided that 40 years should be the requirement. “We have an open mind on everything,” said Duggan. You may not be able to retire early under auto-enrolment. The Government’s Roadmap suggests that a person would not be paid their auto-enrolment pension until their State pension becomes payable. The State pension is currently paid from the age of 66 — and that age is set to rise to 67 from 2021, and to 68 from 2028. So you could have to wait until the age of 68 to draw down your pension under the auto-enrolment scheme. “That’s very different to current workplace pensions, where you can usually draw down your pension from the age of 50,” said Peter Griffin of Allied Pension Trustees. When auto-enrolment is introduced, it may become harder for Irish employees to make meaningful savings into their pensions — if employers chop their contributions to pension schemes to match the minimum contributions required under the auto-enrolment scheme. “Employers may take the opportunity with auto-enrolment to lower their employer contribution to a pension scheme — if the Government introduces a small minimum employer contribution under auto-enrolment,” said Griffin. When auto-enrolment was first introduced in Britain, the minimum employer contribution was set at 1pc of an employee’s pay, and the minimum employee contribution was also set at 1pc. A number of British employers reduced their employer contributions to pension schemes when auto-enrolment was introduced there, according to Griffin. In Ireland, many employer contributions into pensions are 5pc or more. Should the minimum employer contributions to pension schemes be similar to those of the British system when auto-enrolment is introduced here, there could be a big fall in the level of employer contributions to some Irish pensions. LONGER WAIT FOR STATE PENSION? The Government is in the middle of a consultation on changes to the State pension — and it will use that consultation to inform its decisions around the State pension system of 2020 onwards. The number of years of social insurance contributions is one decision to be made. There are concerns that some self-employed and part-time workers could lose out with the State pension if a 40-year social insurance contribution rule is brought in — as these workers may not have had enough time to build up the required level of contributions. The Government is examining whether there should be transitional measures in place for such workers to ensure they don’t lose out.